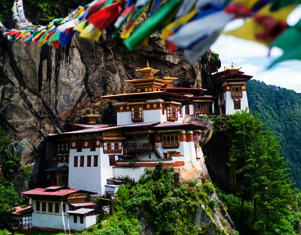 Book this 6N 7D Bhutan Package to make the most of the Bhutan Tour Package which includes all the must visit places in Bhutan including Paro, Dochula Pass, Buddha Point, Memorial Chorten and much more. After breakfast drive to Punakha On the way Stop at Dochu-La-Pass (3150 mts.). to view the higher Himalayas. visit Punakha Dzong - built in 1637 by Zhabdrung Ngawang Namgyal. For many years until the time of the second king, it served as the seat of the Government. The Dzong was named Druk Pungthang Dechen Phodrang (Palace of Great Happiness). Punakha is still the winter residence of Je-Khenpo and King Jigme Dorji Wangchuck convened the first National Assembly here in 1952.Drive To Paro. Evening free for leisure. Overnight stay will be at Paro. After Breakfast: Visit -1) View of Taktshang Monastery, 2) Kichulanka Monastery, 3) Ta Dzong, 4) Paro Rinpung Dzong (Museum), 5) Nya-mey Zam, 6) Dungtse Lhankhang, 7) Kila Gompa, 8) Druk Choeding. In Evening: Stroll Through the Market of Paro & Overnight Stay in Paro Overnight stay at Paro.